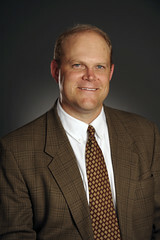 J. Eric Bickel is Associate Professor and Area Coordinator for the Graduate Program in Operations Research and Industrial Engineering (Walker Department of Mechanical Engineering) at The University of Texas at Austin. In addition, Professor Bickel directs the Center for Petroleum Asset Risk Management (CPARM). His research interests include the theory and practice of decision analysis (decision making under uncertainty) and its application in the energy, climate-change, and sports. His work has addressed the modeling of probabilistic dependence, value of information, scoring rules, calibration, risk preference, decision education, decision making in sports, and climate engineering as a response to climate change. Prior to returning to academia, Professor Bickel was a Senior Engagement Manager for Strategic Decisions Group, where he remains on the board of directors. He has consulted around the world in a range of industries, including oil and gas, electricity generation/transmission/delivery, energy trading and marketing, commodity and specialty chemicals, life sciences, financial services, and metals and mining. Professor Bickel is the Vice President/President-Elect of the Decision Analysis Society. He holds an MS and Ph.D from the Department of Engineering-Economic Systems at Stanford University. Address: Graduate Program in Operations Research, 1 University Station, C2200, The University of Texas at Austin, Austin, Texas, 78712-0292; email: ebickel@utexas.edu.